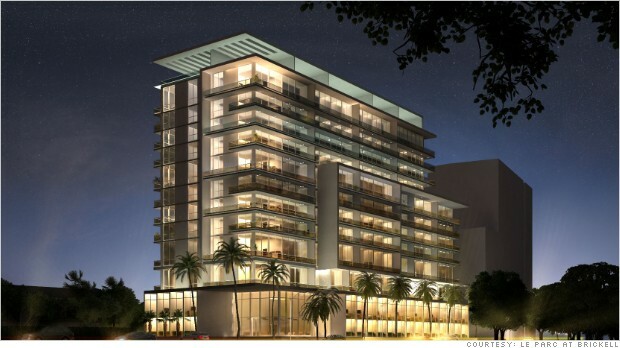 Le Parc Brickell is a 12 story, 128 unit luxury condominium located in Miami’s upscale Brickell neighborhood. Slated for delivery in 2014, the eco-friendly, boutique-style building will boast a central location just blocks away from Miami’s urban core with panoramic views of Simpson Park looking out towards Biscayne Bay and the Downtown Miami-Brickell Skyline. Exclusively featuring designs and furnishings inspired by Ligne Roset, Le Parc at Brickell will be home to the internationally-renowned luxury furniture designer’s first residential development in the United States.